The young boy-man in green clothes quietly moved away from his sight and talked to his companion. Gu Xietian took two steps in that direction. He suddenly had an urge to go and talk to that young man. He listened very carefully to what the companion called the young man. 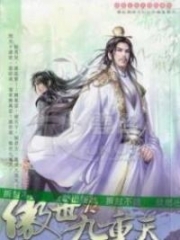 He knew that the name of the green-clothed man was Luo Zhanyu. 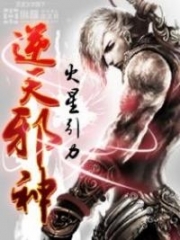 He had escaped from the forbidden area together with Celestial Master Zuo. He was shocked. Just as he was about to step forward, his grandson suddenly cried. It must have been because his wound was hurting. His daughter was carrying a kid. The kid opened his arms as though he wanted to embrace Gu Xietian. "Grandpa, grandpa, hug…"
Gu Xietian was soft-hearted. He sighed and carried the child into his arms. He pampered his grandson the most mainly because he looked somewhat similar to his Gu Yannuo when he was a kid. When Gu Xietian saw his grandson, it reminded him of his eldest son. Gu Xietian left together with his family. Before he left, he turned back to look at Luo Zhanyu. He had specific plans in his heart. Once he met his daughter, he would ask her to invite Luo Zhanyu to visit their house. Luo Zhanyu did not look at him anymore. He always felt hateful towards his father and did not want to acknowledge him. Since he already had a grandson, there was no need to recognize him as his son anymore! Luo Zhanyu glanced at the crowd of people in the outer circle. It was getting more crowded. Everybody wanted to watch the great fight. Even though they had gone through a lot several minutes ago, there were still many people who were reluctant to leave the place. Earlier, Luo Zhanyu saw a slender figure among the crowd. The person was dressed in regular clothes and hid among the crowd. However, Luo Zhanyu was still able to identify her uniqueness at a glance! The slender figure looked quite alike to his sister Gu Xijiu, but her demeanor was different. Luo Zhanyu could recognize her. It was Luo Xinglan! Luo Xinglan was both his and Gu Xijiu's mother! She came and stood among the crowd. It was only later on when she saw that the Gu family members had been saved that she secretly left. She was surrounded by a lot of guards. She had brought her people to help save the Gu family members. However, she also did not want to meet with Gu Xietian again. Therefore, she decided to leave once she had confirmed that the Gu family members were safe. His mother probably had the same feelings as him. Though they hated Gu Xietian, they did not want to watch him get executed. Luo Zhanyu raised his hand and rubbed his temples. He did not want to think about such problems again, and so he switched his attention to the fight. He was also an expert in martial arts. After watching the fight for a while, his heart started to sink. The Kung Fu of the golden giant was too powerful! Qian Yueran and his gang might not be able to rival him! Not only had he noticed this fact, but other onlookers were beginning to notice it as well. Gu Canmo even wrinkled his eyebrow. Both parties were in an intense fight now. One party was the servant of a queen from the upper bound, while the other party consisted of the top three masters from this continent. Even though the three masters were fighting together, they could not even defeat a servant from the upper bound. He wondered about the strength of the masters from the upper bound. 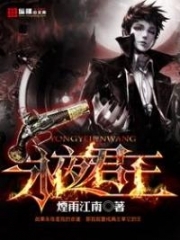 If they all came to the lower bound like Fairy Queen Li and stirred up trouble in this world, there would not be many people who could go against them. It was a real hidden danger! He pondered for a moment. He could not help but look at the direction where The Lord stood. He was stunned! Di Fuyi and The Lord had disappeared. 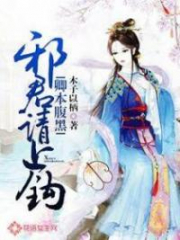 Venerated Venomous Consort Chapter 1513 She Came Out With Her Own Appearance! 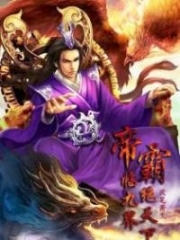 You're Read Venerated Venomous Consort Chapter 1512 A Pair Of Gays online at NovelOnlineFull.com. You can use the follow function to bookmark your favorite novel ( Only for registered users ). If you find any errors ( can't read,broken links, can't load photos, etc.. ), Please let us know so we can fix it as soon as possible. And when you start a conversation or debate about a certain topic with other people, please do not offend them just because you don't like their opinions. You're reading Venerated Venomous Consort. This manga has been translated by Updating. Author(s): Mu Danfeng, 穆丹枫. Already has 550 views. Current Time is 24-Apr-2019 06:44:52 AM.